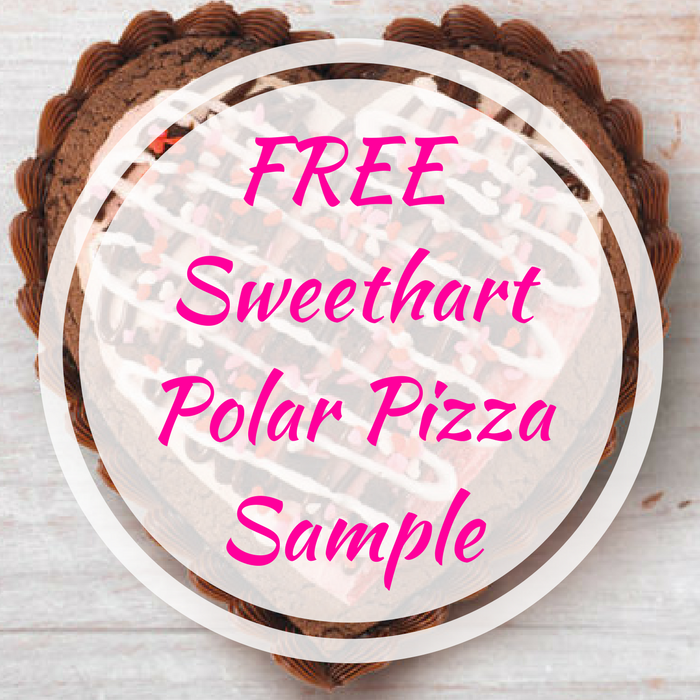 FREE Sweethart Polar Pizza Sample! You are here: Home / FREEbies / FREE Sweethart Polar Pizza Sample! On February 9, from 3pm-7pm only! Baskin-Robbins and participating locations are giving out FREE Sample Of Sweethart Polar Pizza in celebration of the National Pizza Day! It features a double-fudge brownie crust topped with Love Potion #31 Ice Cream, fudge brownie pieces, marshmallow topping and festive heart quins. This sounds great!